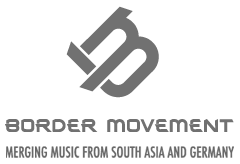 BASSFoundation is a collective of DJs, producers and MCs promoting Drum & Bass, Dubstep in Delhi and India. The collective consists of Big Daddy Klein (DJ), Delhi Sultanate (MC) & Ed ‘Praxis’ Anderson (DJ).BASSFoundation was formed in early 2009 as one of the first crews to promote drum & bass and dubstep in India. They were the first ever monthly DnB and dubstep night to hit New Delhi. The collective consists of two selectors (DJs) and an MC addressing and hyping the crowd.Deejays Big Daddy Klein and Ed ‘Praxis’ Anderson spin a broad spectrum of drum & bass, from melodic liquid flavours and reggae-tinged sounds to deeper rollers, as well as mixing things up with jungle, dubstep, dancehall, and even exclusive ‘dub-plate’ specials. Delhi Sultanate accompanies with his unique and uncompromising, politically-conscious lyrics – reflecting the fiercely non-commercialist ethos of the crew.BASSFoundation’s combination of the traditional reggae soundsystem format with newer electronic genres has drawn a large, dedicated following at their own jam-packed monthly nights in Delhi, as well as numerous gigs across the country, from Kolkata to Bombay. Promoting underground music further, BASSFoundation regularly host some of the scene’s biggest names – from India and abroad – including Order of the Essence, Shiva Soundsystem, Bay Beat Collective (BBC), Sub Swara, Ant TC1 (Dispatch Recordings), REDS (Med School), Kush Arora, NUCLEYA, B.R.E.E.D, Vachan Chinnappa and Osmani Soundz (Nasha Records).